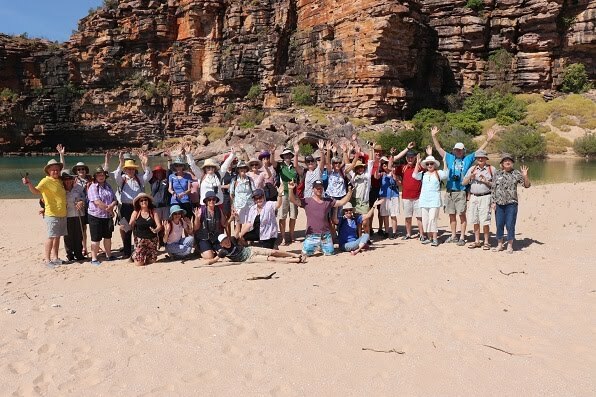 Michael Osborne retraces the 'never to be forgotten' time he explored the Kimberley Coast. I am often asked what I consider one of the highlights of my 40-plus year as a publisher and travel writer/photographer. 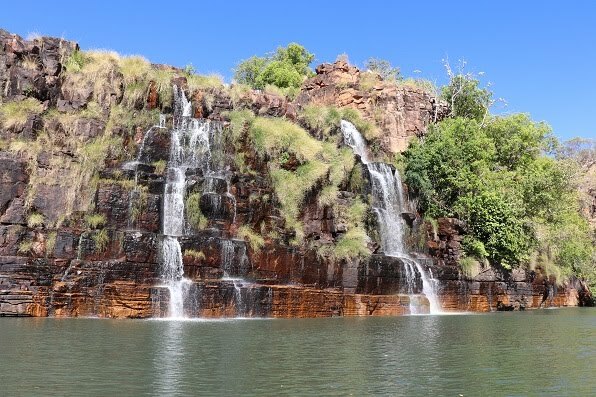 The one trip that always comes straight to mind is the Kimberley Coast. It is an adventure I did in 2009, filming for our Foxtel show - Travel TV. So when the invitation from Christian Fellowship Tours (CFT) arrived to cover the same trip, I answered in a heart-beat. 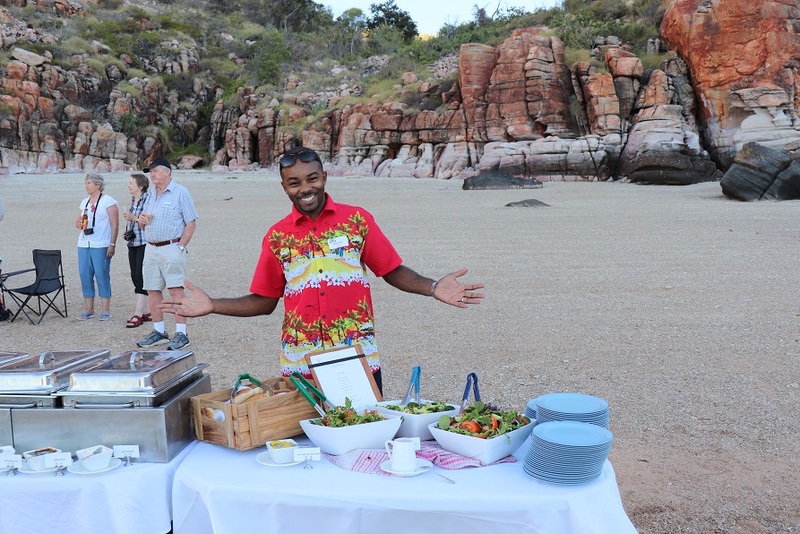 The specially designed tour package had us arriving in Darwin to be met by the team and we enjoyed an excellent smorgasbord group dinner that night. The first thing I noted was most of them already knew each other, having travelled together before. This was obviously going to be a good tour! 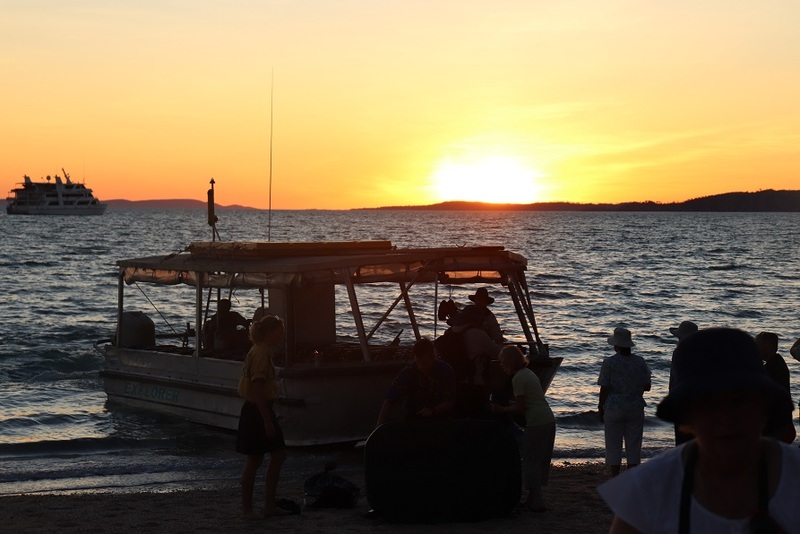 Darwin: My partner Pam and I explored Darwin before the cruise and it is amazing what there is to see. Probably the most informative is The Bombing of Darwin Experience at Stokes Hill Wharf. 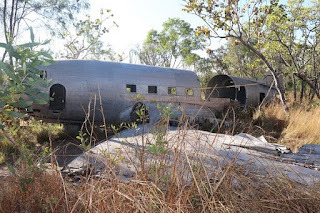 Learn what happened when the Japanese bombed Australia. For shopping and restaurants The Mall is the place to wander. If it's markets, go to Mindil Markets, a legend for locals and tourists. 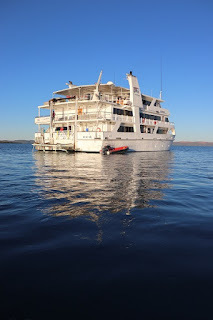 Sailing Away: At the wharf the Coral Expeditions ship, Coral Explorer I was waiting. Our group of 42 is excited as we board and are shown to our comfortable cabins. Once clear of the harbor, we set our course to the South-West and make for the Joseph Bonaparte Gulf. Sailing south, our first destination is Tranquil Bay and then King George River. Passengers are quickly on deck with cameras and binoculars front and centre for the first close-up of this ancient coast. After lunch we boarded the Explorer, the wonderful tender which allows passengers to walk straight on board and then, like a giant forklift, is lowered into the ocean and sails away. A rapid trip along the river had us at the magnificent King George Falls, a towering 80m high, the highest in WA. Next stop Vansittart Bay where we go ashore to look at a WWII reminder, a USAF DC3 that ran out of fuel and crash-landed. All on board were eventually rescued. After lunch, it's Jar Island to view Bradshaw and Giyorn Giyorn artwork that was at least 20,000 years old. Day 4 we sail to Swift Bay for the optional Helicopter ride to Mitchell Falls, a highlight of a fantastic trip. After lunch it was the magic Hathaway's Hideaway where the wind and erosion have created a scene out of an Indiana Jones movie. The size of the shell middens indicated how popular this had been for thousands of years. Day 5 and Prince Frederick Harbour. 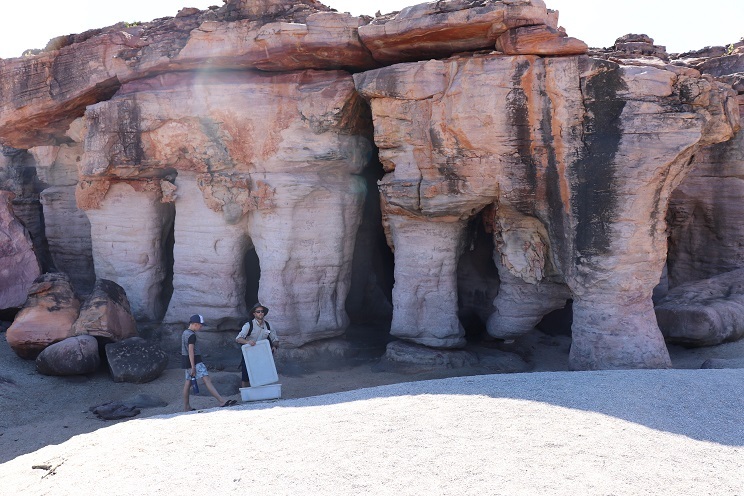 We navigated the mangroves and enjoy wildlife and the rock formations. Amazing! It gets better and better…. King Cascade, a spectacular freshwater display tumbling down from the escarpment. Many go ashore to climb the path to the top and swim in the crystal water. The rest sit back and enjoy as a croc swims past. Careening Bay was where King beached the cutter HMS Mermaid in 1820 for urgent repairs and his crew left graffiti carved into a Boab tree. After breakfast we meet the traditional owners, the Worrorra, to view the famous Wondjina Art site at Raft Point. At night we enjoy the famous Coral Expeditions Beach BBQ, as we watch the sunset. Scooting along in the Explorer, Red Cone Creek takes us to Ruby Falls, where the agile scale the rocks and enjoy a refreshing swim in the pools above the falls. Montgomery Reef is regarded as one of the natural wonders of the world. As the tide drops the reef appears to rise from the ocean. The zodiacs take us into these rushing cascades. 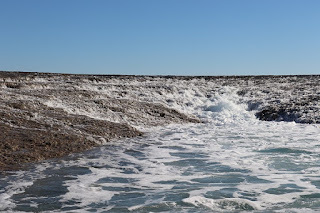 The huge tide rushes through a small opening, creating a small waterfall for the zodiacs to enjoy. 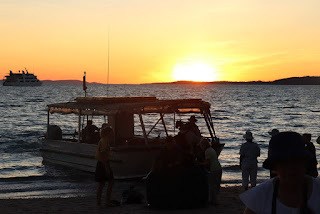 After a tour of Broome and a wonderful farewell dinner, we are transferred to the airport next morning. All up, I am so glad that I had the chance to return. Well done to all concerned. 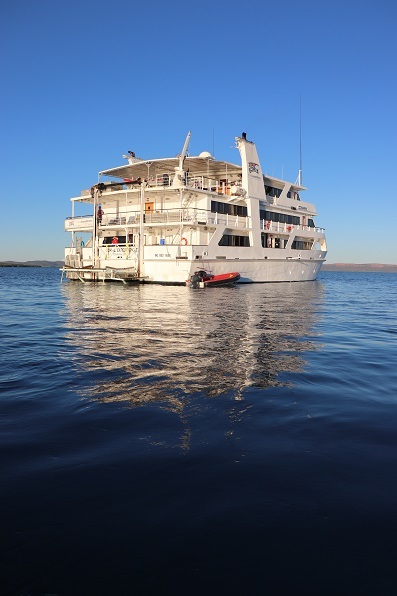 The crew could not be faulted, ever attentive and not afraid to go that little extra. The passengers, CFT have created a holiday opportunity for all travellers, the interaction between all was lovely to be a part of.